In Finland, there's a word that captures the spirit of its people. Sisu means more than just perseverance or determination. Beyond a fleeting feeling, it's a bravery you embody. It's not about what you do, it's about how you do it. Pushing past your limitations, and running beyond what you once thought was impossible. Karhu—meaning bear in Finnish—has a deep history in running and a fighting spirit. Together, it's time to run with sisu. It’s time to run with the bear. Born in Finland. Only at Fleet Feet Sports. The Fulcrum Technology uses your body’s natural energy to roll forward and create a smoother ride. 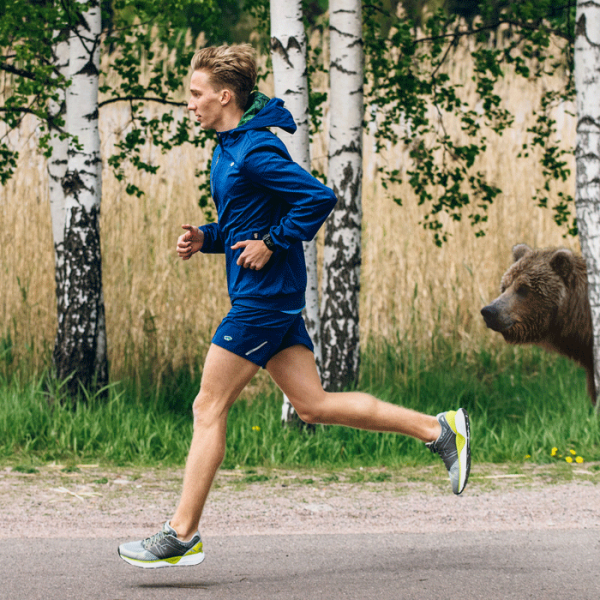 Designed to keep all forces going forward—it’s time to run with the bear. Experience the smoothest transition in the Fast 7 starting at push off. Your everyday trainer delivers a highly efficient rolling effect for all pursuits. Experience comfort and a plush ride in the all new Synchron Ortix. The go-to shoe for runners seeking balanced cushioning with ample support.